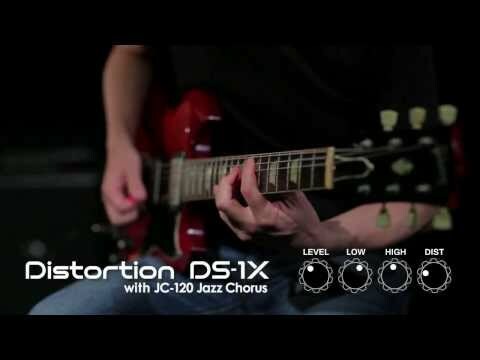 DS-1X; taking the famous Boss distortion you know and love and thrusting into the modern era an incredible level of expression and peerless ..
DS-1X; taking the famous Boss distortion you know and love and thrusting into the modern era an incredible level of expression and peerless performance. Combining over 40 years of technical knowledge, pedal design innovation and cutting edge technology, this next generation Boss Distortion pedal delivers a new tonal experience that only Boss could bring you. With the DS-1X you get a pedal that changes the way the guitar world looks at distortion stompboxes, delivering incredible levels of clarity and dynamic response. 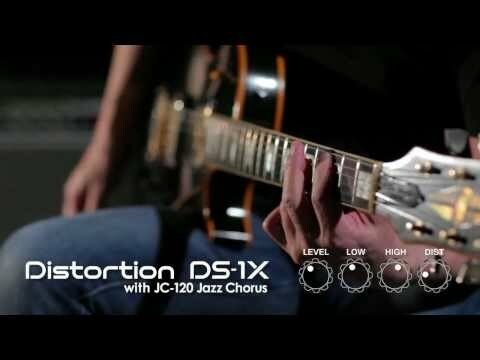 Thanks to Boss’ MDP technology, the Boss DS-1X gives you distortion that sounds great wherever you’re playing on the neck; even when you’re at the highest gain settings. Fat, full bodied tones on the high notes and crisp, clear, tight response on the low notes and incredible definition when playing multiple strings at once. As you play up and down the neck you’ll notice that the MDP technology adapts to your performance so you’re always getting optimum tone. Regardless of your settings, the DS-1X never gives you a muddy or boomy sound – just a smooth, natural presence allowing you to cut through without sounding harsh. Being a special edition Boss distortion pedal, the all-new design of the DS-1X gives you a superior playing experience that you just can’t get from analogue distortion pedals. From tight and right, crisp tones on the low strings, to the fattest, singing tones on the high notes – you get the perfect sound across the entire fretboard. The incredible high-clarity of the distortion sound always sounds great; never boomy or muddy, even when you’re playing multiple notes at once and the noise level is extremely low; even at the highest gain settings. At the top of the pedal you will find four knobs, giving you full control over your sonic output- LEVEL, LOW, HIGH and DISTORTION. Thanks to the recessed control panel design that Boss incorporates on their compact guitar pedals there’s no danger of accidentally knocking your settings when you’re rocking out on stage. The thick chrome control plate is very sturdy and gives the pedal a nice, classy look along with exclusive chrome knobs that haven’t been seen on Boss pedals before. A silver screw secures the battery compartment, paying tribute to the original Boss stompbox pedals released back in the 1970s. Also, being Boss guitar pedals, the robust all-metal chassis is nigh on indestructible and is perfect for taking on the road. 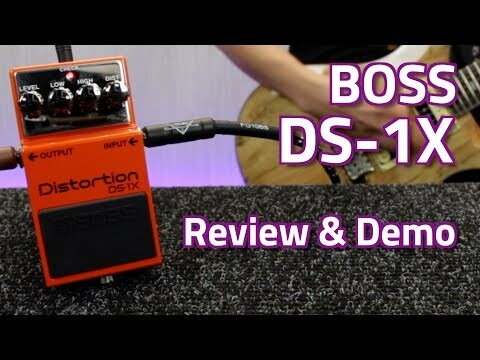 The DS-1X gives you a distortion tone that just feels right and sounds perfect from the moment you stomp it on; giving you a rich, inspiring playing experience.